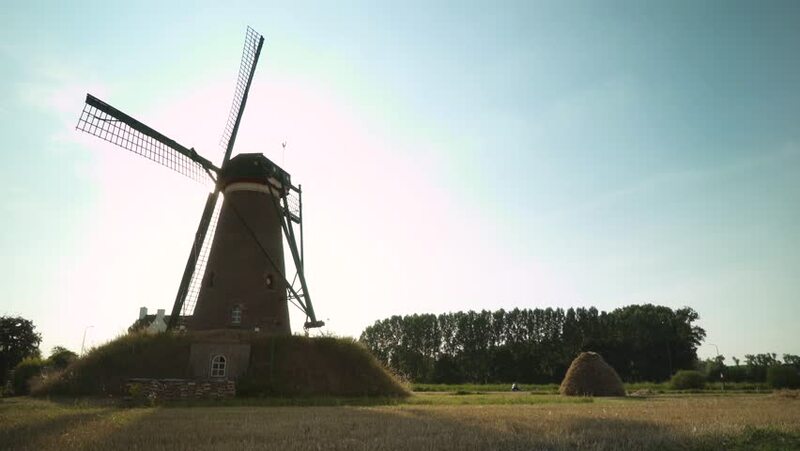 Typical Dutch Windmill of Nuenen with a road and a traditional hay bale in the background. hd00:41Distant Shot of a Farmer who drives off with is old Vintage Tractor. Realistic Handheld-Style. hd00:16Windmills line a canal in Holland as ducks float by. 4k00:16Fascinating view of Alblasserwaard polder with traditional Dutch windmills against setting sun shining through clouds on background. Beautiful rural scenery at sunset. Knderdijk, Netherlands.